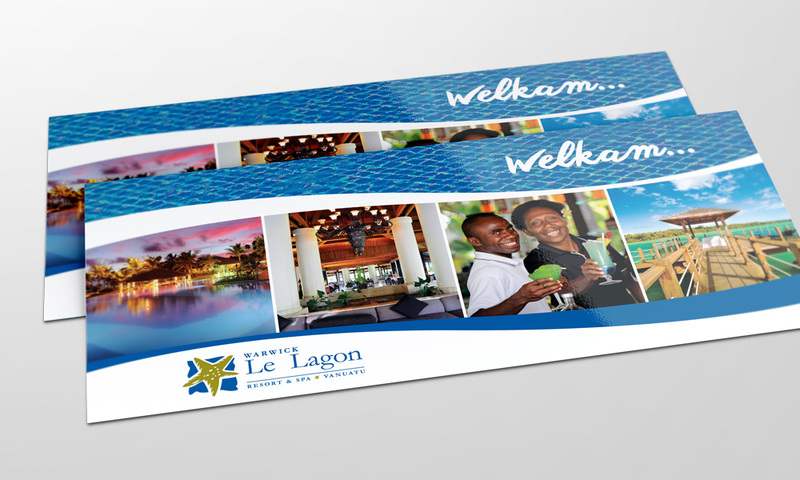 Warwick Le Lagon Resort & Spa is one of the biggest and most popular resorts in Vanuatu. 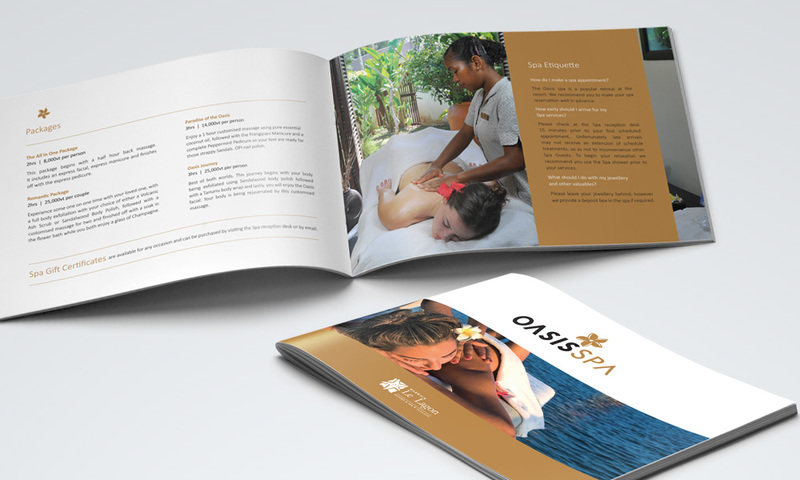 Pandanus has completed a vast range of graphic design work and print management over the years for this client including magazine and newspaper ads, outdoor signage, dining room canvases, logo revamps, spa flyers, golf cards, welcome packs, compendiums, pull up banners, wedding kits and much more. Pandanus has designed an ad template that allows flexible management of the hero shot and images to suit various marketing campaigns. 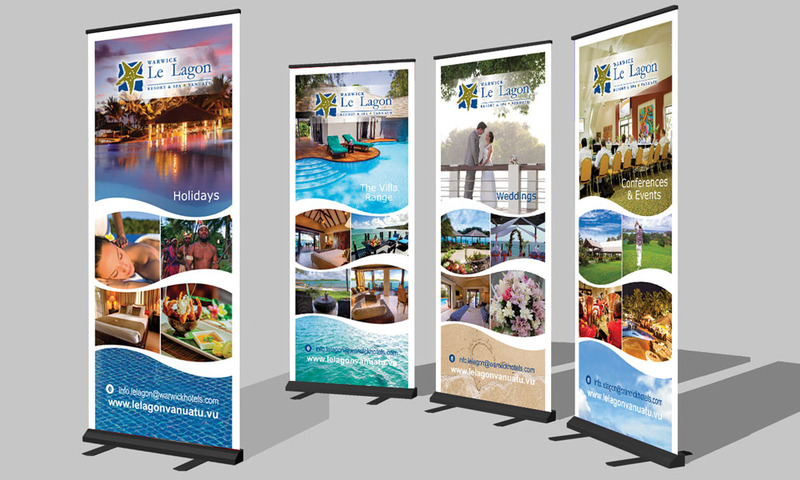 We have carried this concept forward in the different pull up banners. 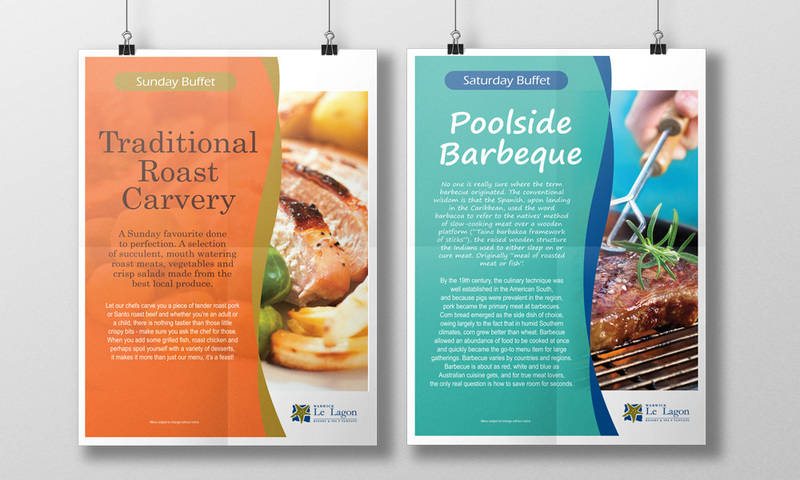 We used striking images and very little text to achieve a more visual message.